In early 2013, Paul and Michelle Tesori learned they were expecting their first child, a boy they would name Isaiah who was born January 4, 2014. Isaiah’s entrance to the world was unique, and for several hours following his birth, doctors weren’t sure if Isaiah would survive. He was rushed from the hospital he was born at to a nearby specialty hospital for children where a specialty team of doctors and nurses took incredible care of him. 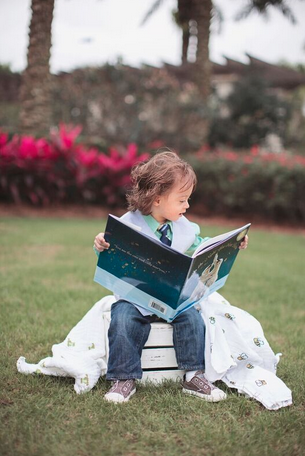 There were complications at birth they were unprepared for, but God worked some miracles and their sweet baby boy only had to stay 7 days at that NICU before he was sent home. 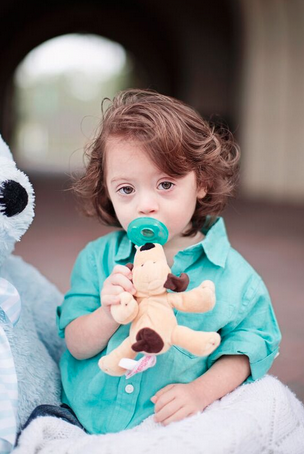 Isaiah was diagnosed with Down syndrome (Trisomy 21), a naturally occurring chromosomal arrangement that is indicated with an extra copy of the 21st chromosome, meaning Isaiah has 3 copies of that chromosome instead of the typical 2 copies, and 47 total “Chromies” overall, compared to our boring old 46. 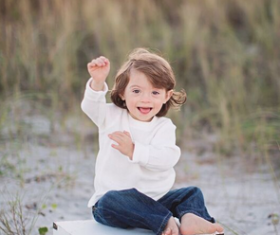 Paul and Michelle have embraced Isaiah’s Down syndrome diagnosis and have set aside specific funds now in their foundation to give back to the Down syndrome community that has embraced them since Isaiah’s birth. 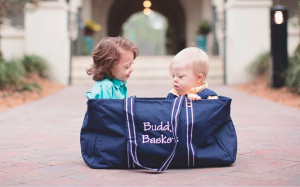 In early 2015, we started a new program called Buddy Baskets, providing each new family in Northeast Florida who gives birth to or adopts a child with Down syndrome a very special basket. In this basket is a note from Isaiah to the new parents, complete with pictures of his first years of life and some of his (and his mommy and daddy’s) favorites including some of Isaiah’s favorite clothes, DVDs, pacifiers, onesies, bibs, toys, etc. We also include items handy for new parents when you first bring a baby home like gift certificates to local restaurants, chocolates for when you need that little caffeine boost to keep you awake for a new baby in the middle of the night, etc! We even include items for siblings to remind them that while all the attention might be on this new baby and some of their extra special needs, they’re still as loved and important as they were before this extra special baby arrived. Got pets? We’ve got them covered too! The purpose behind the baskets is to remind these new moms and dads that while they may find themselves surprised by the diagnosis, whether prenatally or at birth, or even if, like many parents, they’re just worried about the future, that their little bundle of joy is just like any other baby, a tremendous blessing. We hope to simply provide some encouragement to celebrate the birth of their child and a reminder that their child is unique, just like every other child and that God has a plan for this perfect little life! WANT TO HELP? THERE ARE TWO WAYS TO GIVE! Click below to make a donation of your choice to help us purchase items to fill our Buddy Baskets! Tax receipts will be mailed or emailed within four to six weeks once the donation has been processed. Looking to send items ANY new baby or parent would enjoy? All packages can be mailed to the address below. Please email holly@tesorifamilyfoundation.org and include a detailed description of the items included in your package. All donations are tax deductible as allowed by law. Fun Ideas for Gift Baskets! Chocolates – who doesn’t love chocolate? Isaiah’s Dad says every new parent needs Monster energy drinks & Subway! Restaurant gift cards for those days when cooking seems impossible! 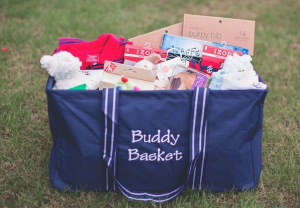 We’re also open to creative packaging for our Buddy Baskets, so if you have a great idea for a basket, let us know! We can’t wait to see our Foundation friends get creative with this project!